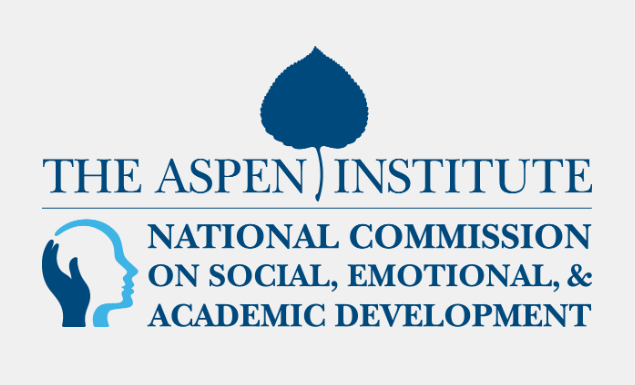 The Aspen Institute’s National Commission on Social, Emotional, and Academic Development has released a major national report, “From a Nation at Risk to a Nation at Hope,” calling on all sectors of society to accelerate efforts to ensure that all U.S. students have access to quality social and emotional learning (SEL). The report is an important milestone in the 25-year-long effort to integrate SEL into the mainstream of American education. It calls on ending “counterproductive” school discipline policies and working to better build adult and student relationships in schools. Define student success to prioritize the whole child. Make the places where students learn safe and supportive. Instruction should teach social, emotional, and cognitive skills and be embedded in school practices. Adults should become experts in child development. The entire community can help support the whole child. Create a closer partnership between researchers and schools. This entry was posted in School Reform & Leadership and tagged non-cognitive, skills for success, social emotional learning. Bookmark the permalink.